William Lilly's War Charts, by David Plant: 1 - If Prince Rupert should gain honour? The Civil War between King Charles I and his Parliament broke out in August 1642. In such uncertain times, astrological advice was eagerly sought by all classes of society. It was against this background that William Lilly, then aged 40, began to make a name for himself as an astrologer. The war intrudes into many of the example horaries in Christian Astrology, with several of the leading military and political figures of the day making an appearance. This is the first in a series of articles which aims to explore the historical background to some of Lilly's 'war charts', in the hope of shedding additional light on his judgements. When the war began, Lilly was living in London, the seat of Parliament and centre of anti-Royalist feeling. Hostile citizens had forced King Charles to flee from the capital earlier that year. He had transferred his court and military headquarters to Oxford, some 50 miles away. Lilly remained in London throughout the war. The charts in Christian Astrology are all judged from a staunchly Parliamentarian point of view. In November 1642, when this question was asked, London had just come dangerously close to being taken by the Royalists. Two weeks previously Prince Rupert's Cavaliers had stormed the Parliament's garrison at nearby Brentford and plundered the town. Only a show of strength by the London militia had dissuaded the King from pressing home his advantage and attacking the capital itself. He had subsequently ordered a general Royalist withdrawal to winter quarters at Oxford. As the smoke cleared and the tension eased, it was the King's nephew, Prince Rupert of Bohemia, who was uppermost in the mind of the querent. Rupert was the archetypal Cavalier - handsome, flamboyant, a splendid horseman and a lethal swordsman. He was also arrogant, hot-headed and bloodthirsty. He was only 23 years old when King Charles invited him to take command of the Royalist cavalry, but he had been a professional soldier since the age of 16 and had gained valuable military experience in various European wars. Above: Canvas portrait and battle engraving of Prince Rupert (1619-82), the 'Bloody Prince', (from a Roundhead propaganda pamphlet of 1643). The engraving shows his dog Boye, his constant companion. I did carefully in 1642 and 1643 take notice of every grand Action which happened betwixt King and Parlament and did first then incline to beleeve that, as all sublunary affaires did depend uppon the Superior causes, so ther was a possibility of discovering them by the Configurations of the Superior bodys. In other words, he was at this time beginning to apply his astrological skills to contemporary political and military events. Horary remained an integral part of his method, though this chart also demonstrates Lilly's readiness to 'vary the rules' when the situation required it. If Prince RUPERT should gain honour by our wars, or worst the Earl of ESSEX? The querent, who is described as 'a very great well-willer to the Parliament' is shown by the ascendant ruler, Saturn. Under normal circumstances we might expect Rupert to be shown by the ruler of the 7th house of 'known enemies' but Lilly decided that as an eminent nobleman he is properly signified by the 10th house and its ruler, Mars. The querent seems especially interested in what will become of him. The 10th cusp now represents the physical 'person of the man'. Close trines of the Moon and Jupiter suggest that he is not in any mortal danger, at least not during the present war. The trines also indicate that 'many vulgar people (Moon) and some of better quality (Jupiter) would honour him'. 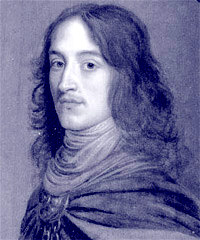 Prince Rupert was certainly destined to become a great hero of the Royalists as the war progressed and his reputation as a dashing cavalry commander grew. His exploits thrilled the Royalists, while his unpredictability and ferocity struck terror into the hearts of the Roundheads - to the extent that many Puritans believed he possessed supernatural powers. His dog, Boye, which accompanied him everywhere, was said to be the Prince's familiar spirit. ...shall at last fall into the hatred and malice of all or many, by his own perversnesse and folly, and in the end should depart without either honour, love or friendship, but should not be killed. As Lilly predicted, Rupert did end the war under a cloud. He incurred the King's displeasure in 1645 when, disobeying orders, he surrendered the port of Bristol to Parliament's General Fairfax. Historians agree that the continued defence of the city was untenable and that Rupert's decision to abandon it was the only thing he could have done, but the reaction of the King has been described as verging on the hysterical. He wrote bitterly to Rupert and summarily dismissed him from the army. Rupert's clumsy attempts to clear his name and save his reputation only made the situation worse. Though he was eventually reconciled with the King, Lilly was correct in predicting disgrace and loss of honour before the war was over. But all this lay far in the future. A more immediate concern in November 1642 was whether Prince Rupert would be able to 'worst' the Earl of Essex, the commander of Parliament's army. As Rupert's opponent, Essex is shown by the ruler of the 7th house from the 10th, in this case Venus. Venus is in the sign, term and triplicity of Saturn, and receives Saturn by exaltation. As Saturn also rules the ascendant, its association with Venus may have helped Lilly in confirming his choice of significators. With fiery Prince Rupert represented by Mars, a Saturnine Venus is an appropriate symbol for his sombre yet charismatic opponent. Above: Canvas portrait and battle engraving of Robert Devereux, 3rd Earl of Essex (1591-1646). Robert Devereux, 3rd Earl of Essex, was one of the wealthiest and most powerful men in the kingdom. As a member of the House of Lords, he had been a leading critic of the King's policies and was senior amongst the lords who sided with the Roundheads. Essex wanted to curb King Charles's personal misuse of his powers - he certainly had no intention of overthrowing the institution of monarchy or the established order. He was horrified when radical demands for religious, social and political change began to emerge from the Roundhead rank-and-file. Essex's wealth, fame and status as a nobleman made him the natural choice for commander of Parliament's army in 1642, even though his military record was unimpressive. On one campaign during the 1620s, he had suffered the public humiliation of being demoted from the rank of vice-admiral to command of a regiment. He was 50 years old when he first led the Roundheads to war and had cultivated a melancholy reserve that was widely (and wrongly) believed to conceal deep wisdom. His aura as a 'great man' inspired fierce loyalty amongst his troops and he was highly respected and popular with the citizens of London. To assess Prince Rupert's chances against Essex, Lilly examined the two principal significators: Mars for the Prince and Venus for Essex. They are separating from a discordant square aspect 'as if not long before there had been some fight or warre betwixt them'. The separating square describes the recent Battle of Edgehill, the first pitched battle of the war, which had taken place in October 1642. With the additional confirmation of this descriptive detail, Lilly was confident that a comparison of the dignities and debilities of the two significators would decide the contest. As we've seen, Mars is very weak in this chart. Venus is not ideally placed either, but at least she is stronger than Mars, being in an angular house and having minor dignity by face. This led Lilly to conclude that 'Rupert should never prevail against Essex'. Mars is in Taurus, a sign ruled by Venus, which Lilly took as an indication that Rupert would eventually surrender to the Earl of Essex. He admitted this was an error, though it was not so far from the truth. 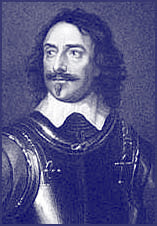 Rupert finally surrendered to General Fairfax (Essex's replacement as commander-in-chief) after the fall of Oxford in 1646 and, at the mercy of Parliament, was allowed to slip quietly out of the country. In a skirmish during the siege of Oxford, Rupert was lightly wounded in the shoulder - the only wound he suffered during four years of fighting in which he was rarely far from the thick of the action. He never fought on English soil again, though he served the Royalist cause as an admiral (some would say pirate) during the 2nd and 3rd Civil Wars of 1647-51. After an adventurous life, which took him to Africa and the West Indies, he ended his days at the court of the restored King Charles II, dying peacefully in his bed at the age of 63. His apparently charmed life is shown in the trines between the MC, Moon and Jupiter in Lilly's horary of 1642. © David Plant. This article first appeared in the Traditional Astrologer Magazine, Issue 1, June 1993; pp.13-15. Published online: February, 2008.